In fact, Bob did such a good job building paper Lara, that after she was finished he thought she actually looked a bit *too* clean! So he gave her a wash of brown water colours, and finally a coat of Krylon Acrylic Clear Matte. Bob edited parts 43 and 45 a bit to enhance Lara’s eh, chest area… ;o) And to make sure Lara wouldn’t fall over, he added some lead weights inside her boots. Bob’s Lara stands 11 inches tall, with an additional 2 inches for the shotgun, because Bob changed the pose a bit so Lara looks ready for action! 11-11-2012: The London 2012 Olympic Games Coca Cola can Batman that Bob made served as a prototype for this second version, made from Guiness beer cans. As you can see, the black Guinness beer cans are very suitable for making an aluminium can Batman! The gold coloured utility belt was made from a Michelob beer can, and the skin tone of his strong, masculine jaw came from an A&W Root Beer can again. 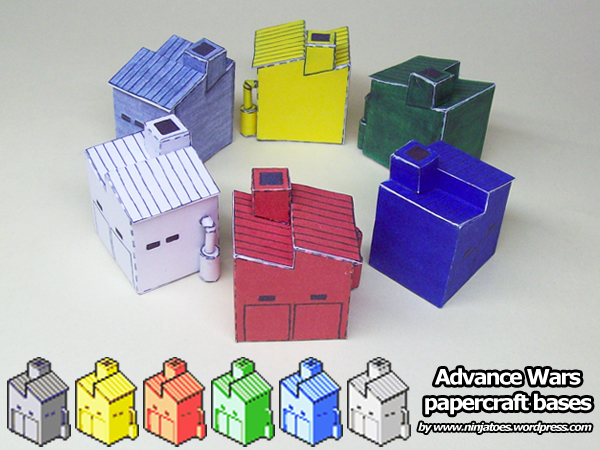 31-10-2012: Remember those aluminium beverage can papercraft models made by Machaon I told you about a while ago? Bob’s version is made out of London 2012 Olympic Games Coca Cola cans, an A&W root beer can for his skin tone jaw, and a Miller’s beer can for his utility belt! Bob suggests making him a bit taller than the original to make it easier to make the small parts like the fingers out of aluminium cans instead of paper. A four part video paper to aluminum modeling SCAHMS demo of mine has been put on the internet.